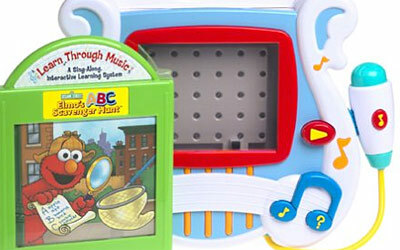 Interactive early learning system helps teach preschoolers fundamental lessons through the music. The rhythm, rhyme and repetition of musical sounds and lyrics are time-honored and time-tested tools that capture children's attention and imagination and help them to absorb and remember basic concepts. Because music engages a child's entire self - mind, body and soul - putting lessons to music makes it fun and easy for children to soak up new information. Each software cartridge features specific, age-appropriate learning lessons, a wide range of lyrical and rhythmic devices, a variety of visual and audio content, and diverse curriculums based on beloved characters.